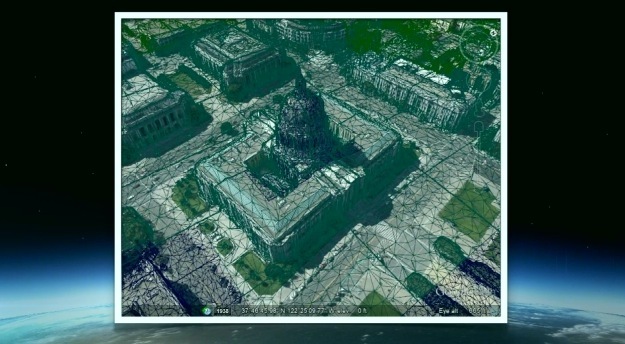 Today, Google announced that it will feature 3D models of entire metropolitan areas on mobile devices in Google Earth. It’s doing so by working on new imagery and rendering techniques, combined with new computer vision tech that automates creation of cityscapes in full 3D. The 3D rendering will come complete with buildings, landscaping, terrain and all at a 45-degree angle. It does this by using custom airplanes to gather 3D data, flying in controlled patterns. It then uses mapping techniques to create a 3D map of buildings and other objects. The demonstration was run on an iPad, but the Google Earth update in 3D will come to both iOS and Android mobile devices. 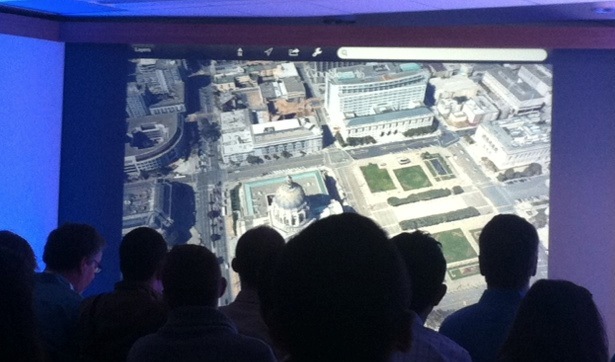 Google Earth is also getting a completely new interface that will take advantage of the new 3D data.